Cally Trench writes: When I was a small child, I had no awareness that other people read the same books as me, any more than I thought that another child might have the same teddy bear. My books belonged to me. I turned the pages, looked at the pictures, became engrossed in the story; reading was a private pleasure. And books were shields, hiding my face and embracing my mind. ‘Do you ever stop reading?’ asked my foster brother. The books that I make are intended as private pleasures for the reader. Some refer to aspects of old-fashioned books (slipcases, marbled end papers) and to playful types of books (spotter’s guides, concertina books of souvenir photographs, pop-up books). 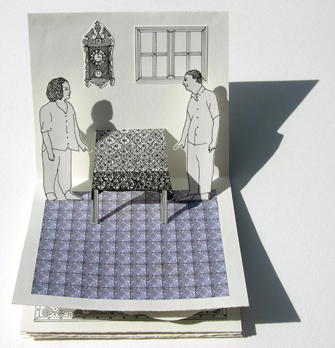 Teatime (2009) is a handmade pop-up book with four scenes, showing an encounter at teatime. 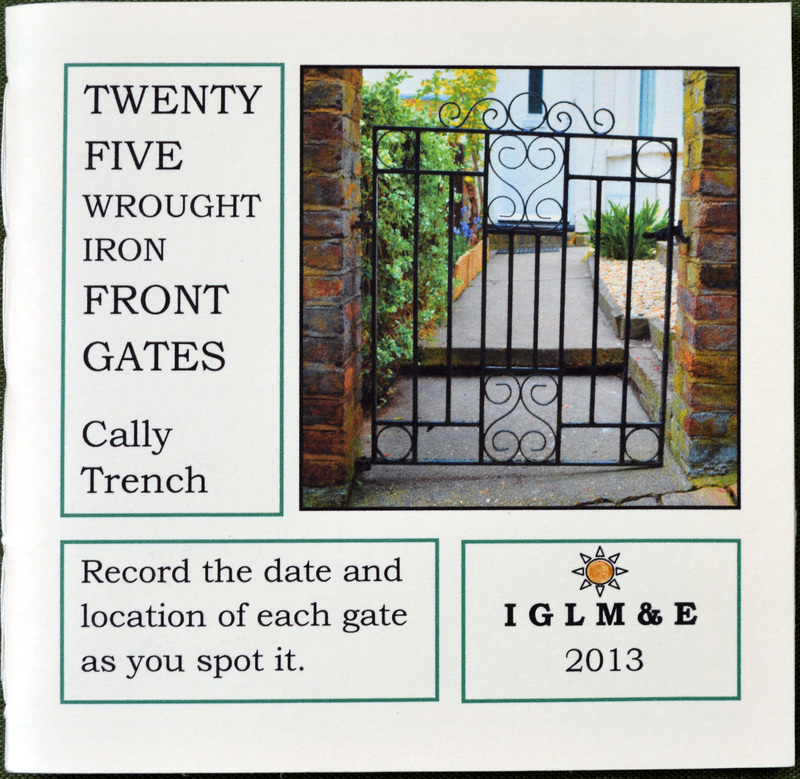 Twenty-five Wrought Iron Front Gates (2013) is a spotter’s guide to a dying species. The desire to generate a private response to a work of art extends to the rest of my practice. I have made peephole boxes, which only one person can peer into at a time, creating a private moment. My board games are made to be played by four people, who create an intimate circle for the length of the game. The ideal viewer for my lifesize pen-and-ink drawings of faces and bodies is one who behaves as if they are meeting another person, as if they are the only viewer. Philip Lee writes: For me, books have always been objects to experience. I want books, but not just to read them. I love the smell, the weight, and the feel of them. A book is a sculptural object, something to touch and explore. All my books are made to be handled. As a performance artist, I am particularly interested in making books that require the reader’s actions to animate my body on the page, creating an illusion of movement and liveness. Examples include a phenakistoscope and flipbooks, which make use of persistence of vision. 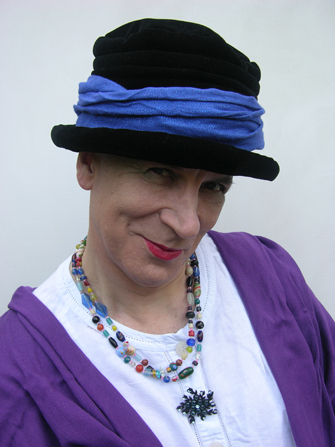 It is important to me that my books show my body, which is both the material and subject of my work as a performance artist. 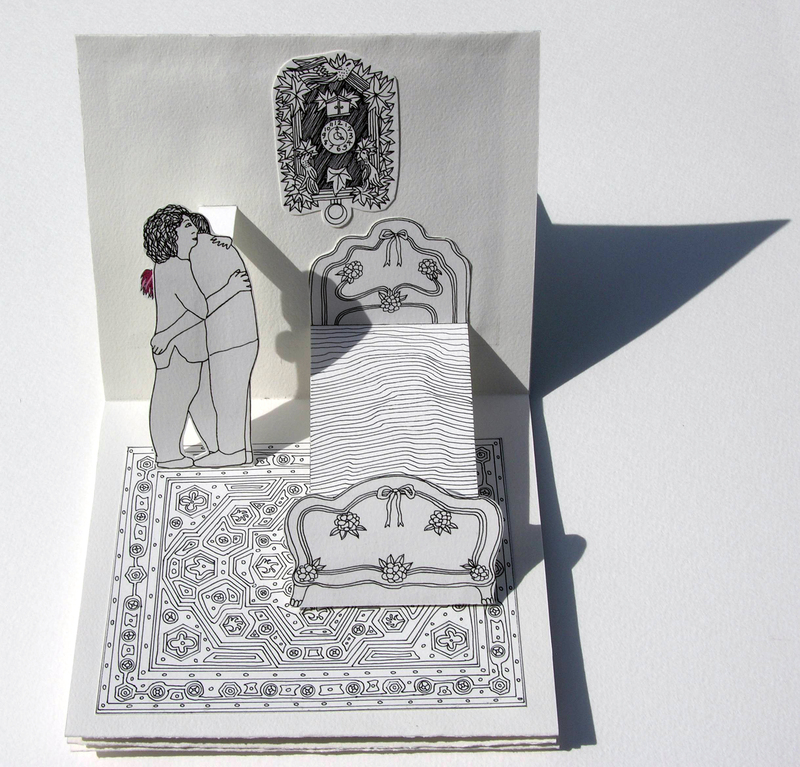 White III (2008) is a flipbook that animates my body, showing me rising from a crouching position to stand with my arms stretched vertically above my head. As my body unfurls, white paint progressively covers it. A concertina book that is a kind of strip cartoon, Body Black Circle (2012) shows a black circle pushing me off the page, replacing me with its sophisticated abstraction. Collaborating allows us to make books that we could not make alone. 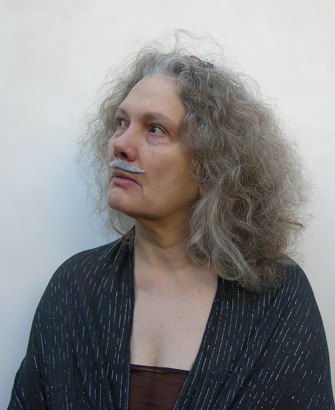 16 Dada Heads (2013), which required us both to be artists and models, celebrates the start of Dada in 1916, with images based on, inspired by, or completely tangential to Dada. 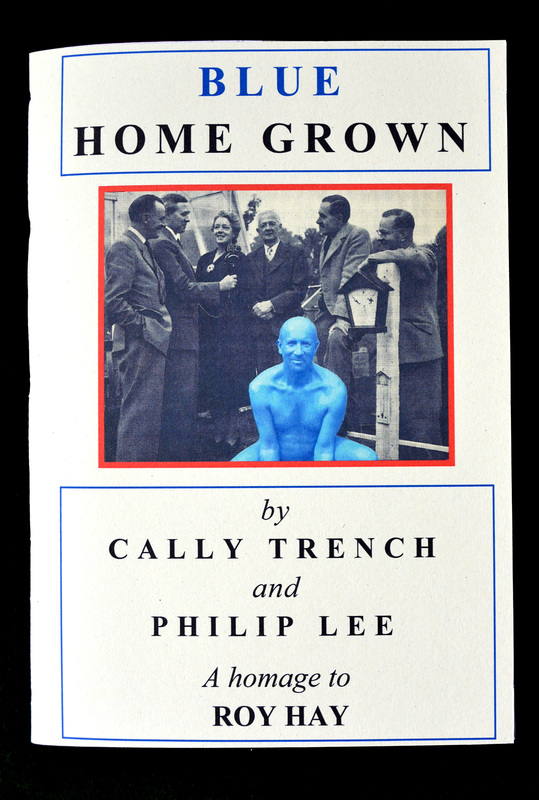 Blue Home Grown (2011) is a friendly homage to Roy Hay’s Home Grown, a gardening hit of 1956. In our collaborations, we aim to make books that are both a physical experience and a private pleasure.